DV Medical Supply is committed to protecting the privacy of its customers. We do not disclose any account information. Confidential information is never used outside of DV Medical Supply unless required to do so by law, in response to a subpoena or court order. You are responsible for maintaining your account login information and are fully responsible for all activities that occur under your password or user name. This site contains proprietary information, including but not limited to text, software, graphics, photos, coordination, arrangement and enhancement of content all of which is owned by DV Medical Supply. You may not modify, publish, transmit, participate in transfer of sale, create derivative works or in any way exploit any of the content in whole or in part. Due to market volatility, prices and availability are subject to change. CREDIT TERMS: Payments are to be made to DV Medical Supply, Inc. Net 30 payments are due 30 days after the date of purchase. All Past Due invoices will be assessed a finance charge with an annual rate of 18%. In the event of default in payment of any amount due and if the account is placed with an attorney or collection agency, an additional charge equal to the cost of collection including agency, attorney fees, and court costs incurred will be added to the balance to the extent permitted by law. Orders less than $100.00 incur a minimum $9.95 shipping/handling fee based on the package weight. No shipping/handling fee on orders over $100.00 for veterinary customers only. COD orders incur a $9.50 processing fee. 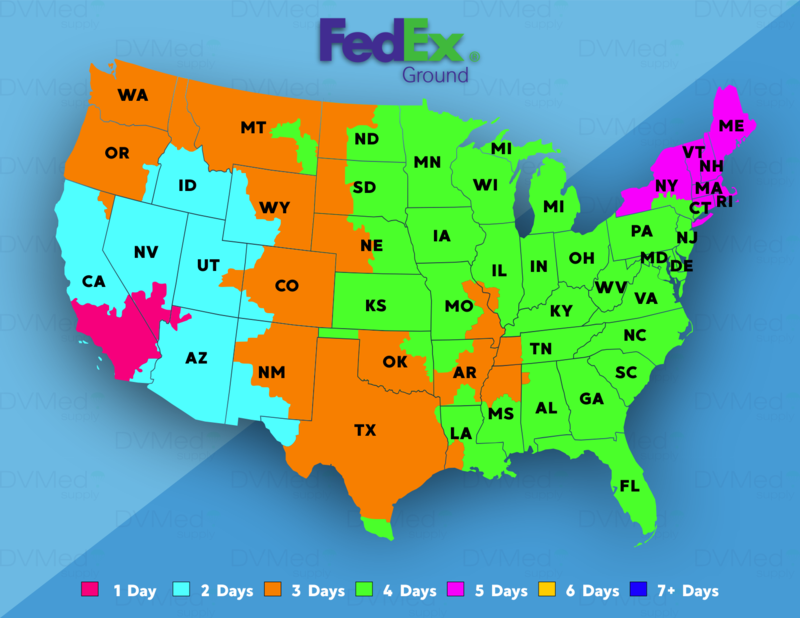 All orders are shipped Fedex Ground unless otherwise requested. 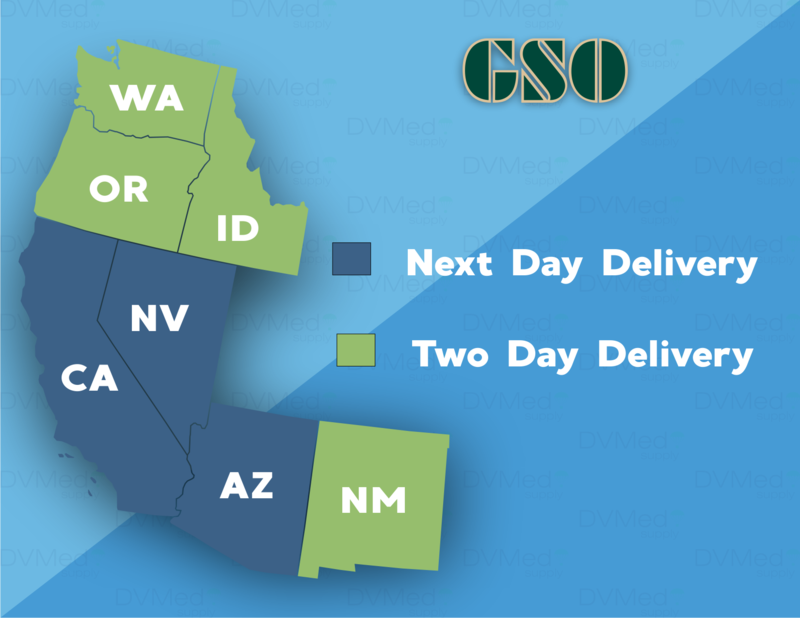 All orders within covered territory in California, Arizona, Idaho, Nevada, New Mexico, Oregon and Washington are shipped Golden State Overnight. 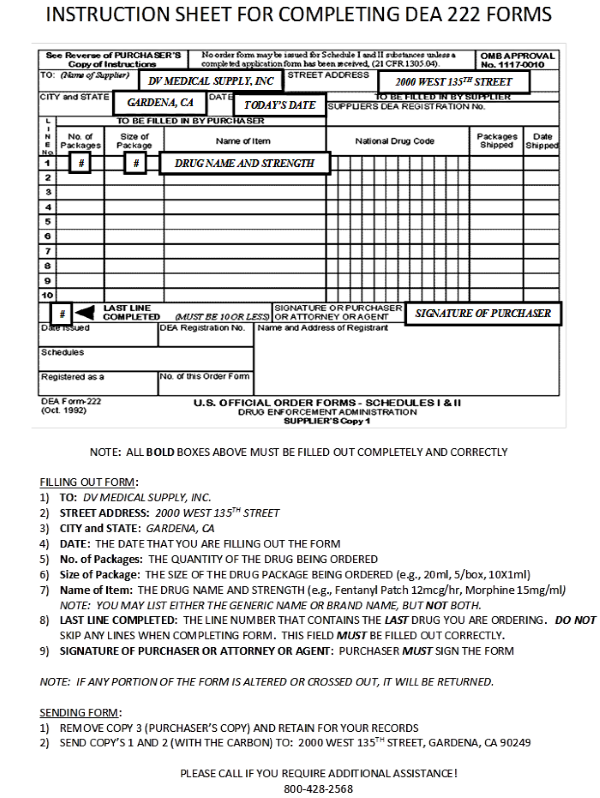 All registered customers grant DV Medical Supply permission to send advertising and promotional material to the FAX number(s) and/or email(s) addresses unless otherwise requested by calling us at (800) 438-2568. 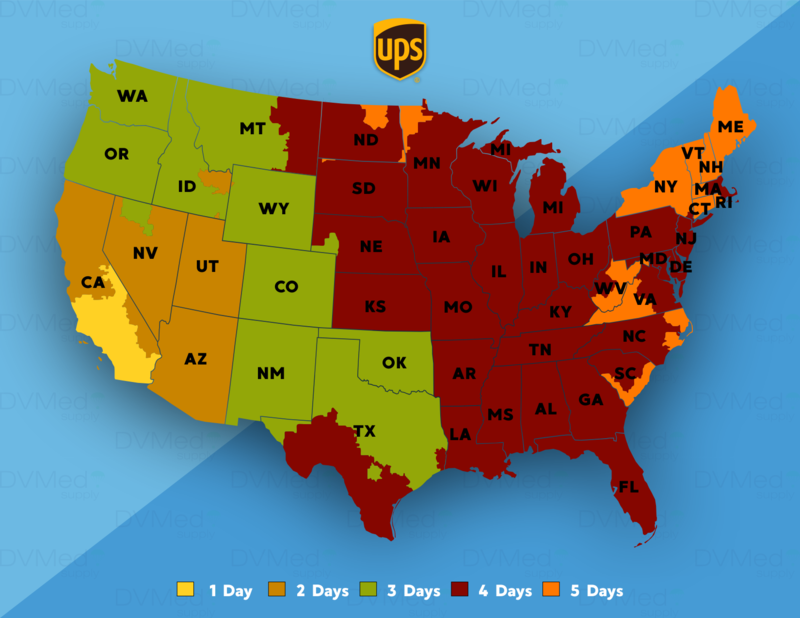 Any damaged products, errors and/or order discrepancies must be reported within 48 hours of receipt of order. Prior authorization is required for all returned merchandise. A Return Authorization will be generated and emailed or faxed to the number on file. Once the RA has been signed and faxed back, a call tag will be issued for pickup of product. Please include a copy of the signed RA along with the product. Merchandise must be unexpired and returned in its original, unopened container, unmarked and properly packaged. Returned orders may be subject to a 20% restocking fee and/or return shipping fees. Special ordered items or short-dated items may only be returned at the discretion of DV Medical Supply. Credit for returned items will be issued upon receipt of merchandise.